Kimberly Davies is a Program Associate for the Microsavings Initiative, which is part of Grameen Foundation’s Solutions for the Poorest program. This is part three of Kim’s blog series. If you haven’t yet, we recommend you read part one and part two of her blog post series. While I like to plan ahead, one overcast day in Varanasi, India, I quickly learned that you can’t always anticipate what comes your way. Upon leaving the offices of CASHPOR (our microfinance institution partner) with our project manager, we were faced with a drizzle that quickly turned into buckets of pouring water. The busy streets became increasingly chaotic as everyone scurried for shelter, forcing us to pull our motorbike over to wait for the rain to stop. As the road began to flood, we became concerned about the laptops, cameras, and mobile phones in our backpacks, and realized that we needed to get out of the rain quickly to shield our things. We hopped into an auto-rickshaw as our only alternative transportation. Since the rickshaw did not have doors, the rain streamed into the car. The engine began to stall as it flooded with water, but somehow we made it back to my residence. This delay forced us to cancel a call that evening, even though it had been scheduled for weeks. What would have just been considered a heavy rain in Washington, was a flood in Varanasi, and prevented people from necessary travel and daily business. The unanticipated ordeal opened my eyes just how many unknowns there are in developing areas that prevent the poor from predicting what obstacles will hit them down the road. This uncertainty is why we see a need for the poor to have access to risk-management tools, especially access to savings products, to act as a shield against shocks. Jason Polen works as Social Media Intern for Grameen Foundation based out of our Seattle office. Investing in Technology– Is it worth it for MFIs? From “Speed-Geeking” to “ROTI”; when microfinance and technology leaders come together in India to explore the power of technology, innovation is inevitable. 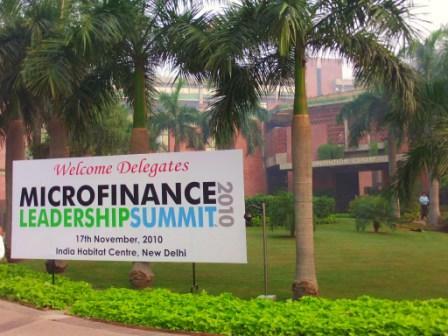 This year’s Microfinance Leadership Summit in India was called, “Fueling Growth: Strategic Technology for Microfinance”. One of the key goals of the conference was to engage microfinance and technology leaders in a dialogue about the immense potential of technology in helping microfinance institutions (MFIs) grow. Starting a dialogue around investing in technology is vital for leaders of small and medium sized MFIs. As MFIs scale, they begin asking themselves a number of critical questions about the use of technology. How can technology help us grow? Which kind of technology is right for us? How much will it cost? How difficult will it be to integrate it into our existing system? When is the right time to invest? All these unknown factors can be summarized into one term a speaker at the conference, PC Narayan, introduced: ROTI – Return on Technology Investments. Most MFIs are not adverse to adopting technology. In fact, they are usually ahead of the curve, especially in India; however, when operating at the grassroots level, adopting technology incongruent with their clients’ can mean failure. In other words, MFIs are very conscious about the importance of using technology appropriately. A key theme throughout the conference was answering this question: “Is it worth it?” Fully understanding the risks and benefits is essential. Picking the correct technology at the right time ensures they will fully capture the benefits. We worked with Microfinance Focus to post a live blog throughout the conference which highlights many of the events in greater detail. Recent reporting about the activities of for-profit microfinance institutions (MFIs) in India, specifically in the state of Andhra Pradesh, has raised important questions about whether microfinance is delivering on its promise to empower poor people. We take the concerns raised extremely seriously and are following developments on a day-to-day basis through our India-based team. Though Grameen Foundation is not currently working with any of the MFIs that have been caught up in the allegations in Andhra Pradesh (our efforts in India are currently focused on the least-served states, in the north and east of the country), we have worked with and observed the Indian microfinance sector for more than a decade. We have seen its many challenges, as well as the hard work of MFIs and others to improve accountability and service to borrowers. Grameen Foundation strongly believes that MFIs must measure their social performance as rigorously as they measure financial performance – in other words, they must demonstrate that they are reaching the poor and poorest, and that these borrowers are moving out of poverty over time. 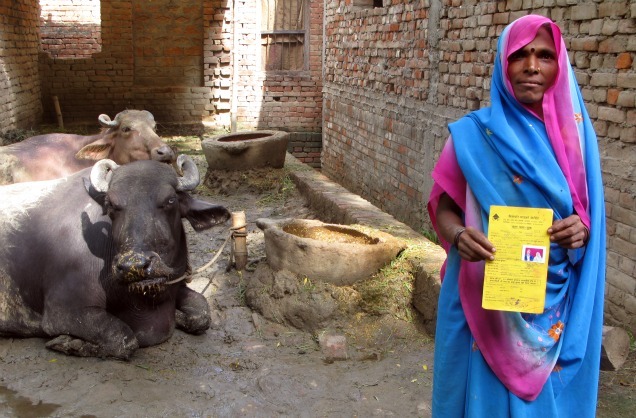 Grameen Foundation is not against MFIs responsibly earning profits. Profits are an essential component in sustainability, and in ensuring that an MFI can effectively pursue its social mission. The cost of providing financial services to the poor and poorest, especially in hard-to-reach areas, can be high and costs need to be recovered. Instead, we focus on helping the microfinance sector reduce costs and provide services more efficiently by offering an integrated assortment of financing, IT, performance measurement, human capital, and consulting tools and services. Put simply, our goal is – and has always been – to help MFIs provide quality products to the poor and poorest at an affordable cost. We believe that microfinance’s potential to help millions of poor people improve their lives comes with the responsibility of demonstrating how well MFIs are achieving their goals. MFIs should leverage easy-to-use social-performance benchmarks and tools – such as those provided by Grameen Foundation’s Progress out of Poverty Index™ (a country-specific model inspired by the 10 indicators of poverty developed by Grameen Bank) – to publicly demonstrate their social mission and their effectiveness at fulfilling it. And because the microfinance sector is based on people serving people, we also believe that each MFI should focus on ensuring that their people-management strategies follow best practices in human resources. This means focusing on proper selection, orientation and training of new hires, and on communicating the MFI’s social mission, core values and long-term vision, rather than on short-term financial results. Despite the negative attention on activities in Andhra Pradesh, the need for microfinance in India – where 600 million people live on less than $1.25 per day – remains high. Grameen Foundation continues to strongly believe that making financial services available to the poor and poorest is one of the most effective ways of helping them move themselves out of poverty. Through the recent establishment of Grameen Foundation India, a wholly-owned subsidiary created to carry out non-financial activities that support the poor and poorest, and through Grameen Capital India, a joint venture established two years ago to lead our financial activities in-country, Grameen Foundation is committing more resources than ever to helping to put appropriate financial services, information services, and business opportunities into the hands of the poor and poorest people in India – to empower them to transform their lives and the lives of their families. 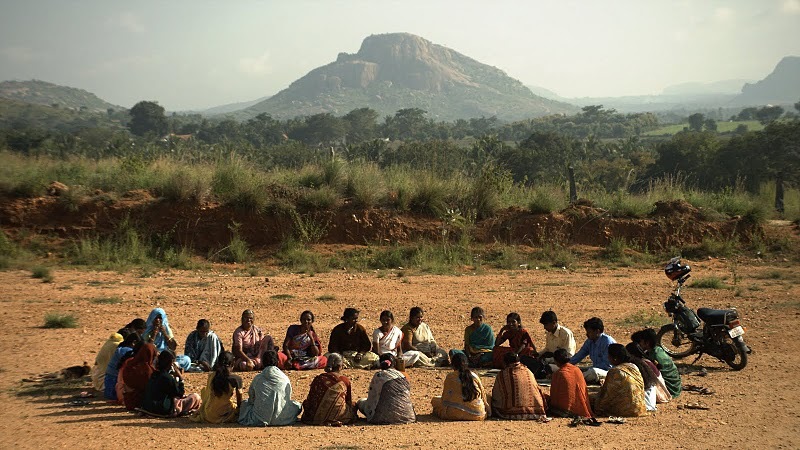 •	Grameen Foundation’s year-end wrap-up webinar reviews the organization’s work in 2010, looks ahead to 2011, and focuses especially on our activities in Asia, including India. 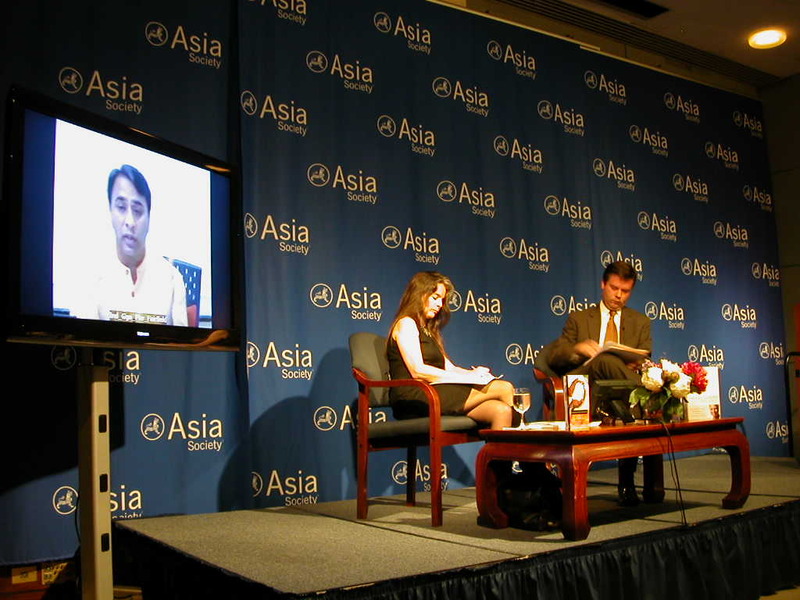 •	Alex Counts, Grameen Foundation president, CEO, and founder, debated Vikram Akula, founder of SKS Microfinance, about “Microfinance and the Profit Motive” on October 25, 2010, at the Asia Society. •	“Measuring the Impact of Microfinance: Taking Another Look,” a recent study by Kathleen Odell, found that microfinance, when used appropriately, can be effective in helping the poor create income-generating opportunities. •	Alex Counts spells out what he believes to be the most effective approach to microfinance in “Reimagining Microfinance,” which appeared in the Summer 2008 issue of the Stanford Social Innovation Review. Kimberly Davies is a Program Associate for the Microsavings Initiative, which is part of Grameen Foundation’s Solutions for the Poorest program. 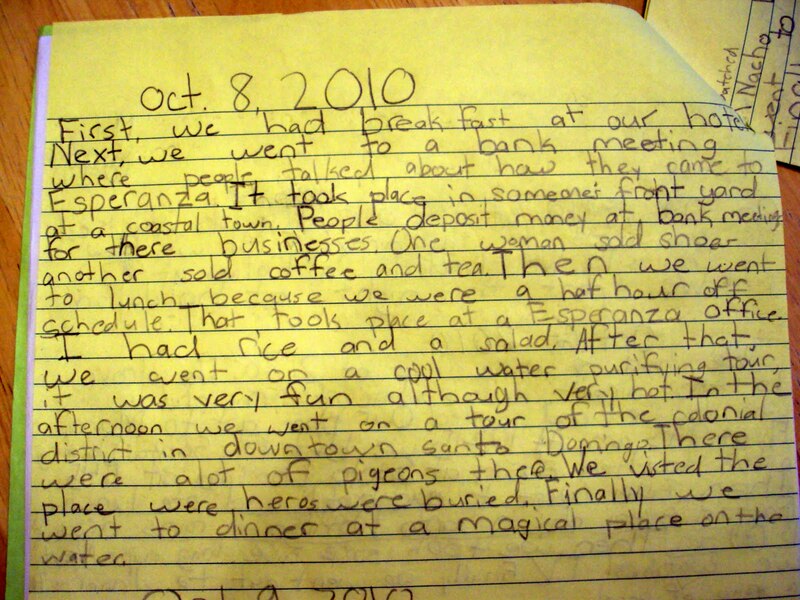 This is part two of Kim’s blog series. If you haven’t yet, we recommend you read part one of her blog post series. A new hands-on interview process was piloted during CARD's Customer Service Associate interviews. Based in the Philippines, CARD Bank is a close partner of Grameen Foundation that truly works to empower women, as the majority of their staff is even family members of past borrowers. My visit came at a great time: Not only was I able to see interviews for new savings associates under a new interactive recruitment process, but market research about the financial education program also began. It’s incredible to see how many moving parts our microsavings project has, and how many tasks and deadlines our project managers and leadership teams need to juggle. Timing is tight; we have a lot to accomplish in just three short years, which made me fully realize how complicated our holistic approach to this project is. Though CARD began offering savings several years ago, they did not see the uptake that they originally expected. Now, our project involves subject-matter experts in seven areas working with the MFI to create a savings product that truly matches clients’ needs. Not only is the right savings product important, but also the accessibility of that product. Often poor women that live in rural areas need to travel extremely far distances on a regular basis, many times by foot, to access traditional savings at banks. Not only is this inconvenient and exhausting, but involves time away from their business and thus a loss of potential earnings, which they often cannot afford. The Microsavings team and Grameen Foundation Technology Center’s innovative work in these areas should help save clients valuable time, which in turn will enable them to more easily deposit smaller quantities more frequently while spending less time away from their businesses. At their SEEP panel, Peg Ross, along with Kathryn Mayer, Director for the Center for Microfinance Leadership at Women’s World Banking and Glynis Rankin, founding Director of Creative Metier Limited attempted to answer a key question for the industry: How can MFIs develop skilled leaders focused on the double bottom line and build meritocratic organizations [where everyone is promoted and rewarded according to their ability] in a fast changing and increasingly commercialized and competitive marketplace? As organizations grow, transform, and add additional product offerings to better serve their clients they are adding “increasing complexity at all levels of the organization.” Specifically, Peg explained, “there’s tremendous complexity that occurs at the field level – with the leaders from the field. As an organization grows and scales this issue of complexity needs to be dealt with.” For example, decision making must be decentralized to the lowest appropriate level within the organization and accordingly, individuals should be not only held accountable for business results, but also given the support necessary to deliver. These field leaders are the backbone of microfinance institutions around the world. They can inspire the loan officers and branch managers they work with and when they are empowered with the proper level of decision making capability, they can drive the growth and impact of their institutions. Matt Duncan is the Director of Market Development, Technology for Microfinance Initiative for Grameen Foundation’s Technology Center based in Seattle, Washington. He has been collaborating with Microsoft Community Affairs to plan the Microfinance Leadership Summit in India, where microfinance institutes will learn about cloud solutions and other technology tools that will help them serve more people in poverty. It was that awkward shuffle. I was standing in the aisle as our flight was loading. Despite repeated requests at the check-in desk, my wife and I did not get seats together, so I was faced with attempting to convince a fellow passenger to trade seats with me. I was optimistic as I had a highly-sought after aisle location to offer. Attempt #1: failure. I could not overcome the language barrier between a shy Vietnamese woman and myself. Attempt #2: Again, a failure. I approached the woman who had the seat assignment next to me. I offered the comfort of an aisle seat near the front but no deal. I was left with one final option: shuffling around all four seats in our row without displacing the first woman who had refused to move. My last hope strolled onto the jet, and I worked my best pitch. Just as they announced the closing of the cabin door, I got a gentleman on his way home to Bangalore, India to switch seats with me. An exhausting way to embark on the first of two nine-hour legs to New Delhi. We soon discovered that our careers were more aligned than we might have expected. Vikrum works in Marketing and Sales for Microsoft Azure, the software company’s cloud computing platform. An ironic synergy considering that I was headed to New Delhi for the Microfinance Leadership Summit, an event my organization – the Grameen Foundation – planned in partnership with Microsoft and Access Development Services, a local microfinance association. The Summit will help microfinance institutes (MFIs) understand how cloud computing and other technologies can help them accelerate growth and increase transparency. A serendipitous seat change indeed… We exchanged business cards and sat back as the plane took off. Jason Polen works as a Social Media Intern for Grameen Foundation based out of our Seattle office. In developing countries, the demand for financial services still far exceeds the supply. Usually when this occurs, businesses scale-up to meet the demands of the market. However, microfinance institutions (MFIs) are still not fulfilling the financial demands of the world’s poor. 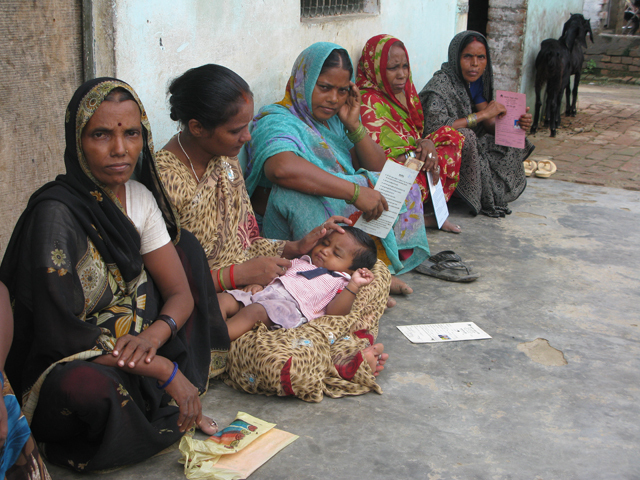 What is preventing MFIs from reaching everyone hoping to break the cycle of poverty? The key barrier is technology; many small and medium sized MFIs lack affordable, efficient, and usable technology. In New Delhi, on November 17th, Grameen Foundation and Microsoft are holding a conference focused solely on the intersection between technology and microfinance. The 2010 Microfinance Leadership Summit entitled, “Fueling Growth: Strategic Technology for Microfinance” will bring together leaders from throughout the microfinance and technology ecosystem to discuss how they can better leverage technology to meet their business and social goals. Grameen Foundation and Microsoft will outline how MFIs can use technology to decrease administrative and transactions costs, increase social benefits, and maximize transparency. 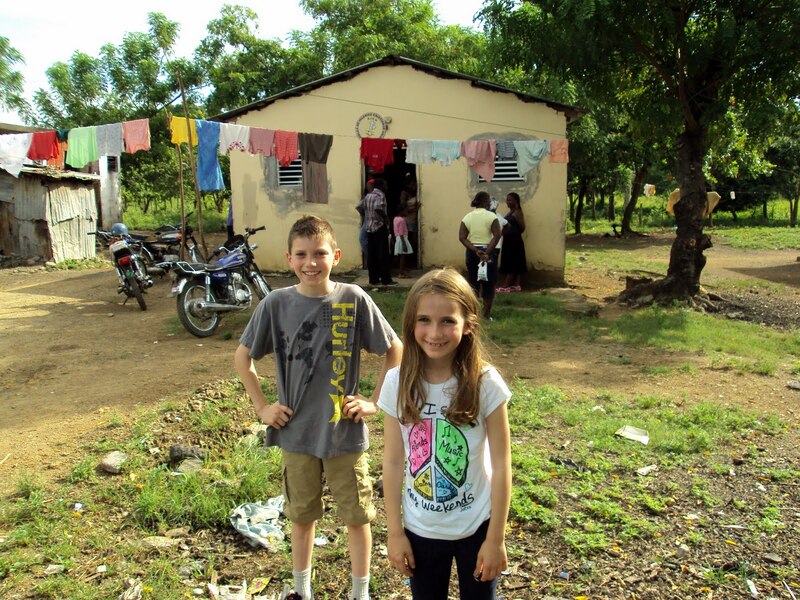 Christopher Kellen is a Bankers Without Borders volunteer for Grameen Foundation. He recently traveled to Bangladesh to study work being done at the Grameen Bank, and you can read more about his travels on his blog. Before he left, he also found a great example of microfinance happening right in the middle of his “backyard” of New York City. I first learned about microfinance five years ago by reading about the work of Professor Muhammad Yunus and the Grameen Bank in Bangladesh. Though I thought the concept, especially the group-borrowing model, was innovative and brilliant as a way of creating creditworthiness in developing communities, like many others I also thought that this model couldn’t work in the United States. However, after a recent visit to Project Enterprise, a Grameen-affiliated microfinance organization in my hometown of New York City, I was stunned by how well they had adapted the model to the environment. After hearing some of the success stories of the entrepreneurs I met there, who had managed to grow businesses with loans starting at just $1,500, I began to rethink my whole concept of starting a business. One of the amazing entrepreneurs I met that afternoon was named Bridgette King. 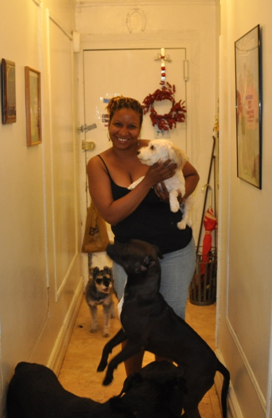 Bridgette had quit an unfulfilling office job to start a pet-boarding and walking business out of her Harlem apartment. She was making a modest living doing this; however, she saw the potential to make a lot more by expanding the services she could offer her clients. She wanted to get her grooming license, but did not have the money. She couldn’t get a loan from the bank, since her credit had been ruined trying to pay back her college loans. Fortunately, she found Project Enterprise. 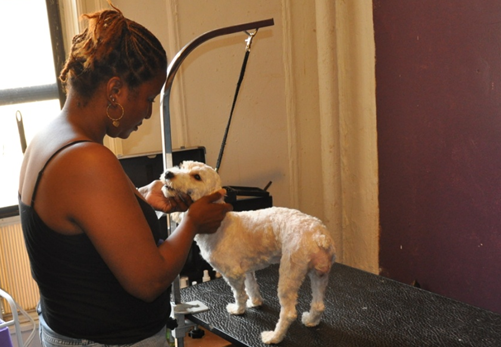 The $1,500 loan she received allowed her to get a license and purchase the equipment to start grooming pets in her apartment. With this increased offering of services, the income of Bridgette’s business more than doubled. She has already taken out a second loan to buy equipment to let her handle more pets, and is now planning for her third loan, to take the next step and expand into an actual storefront. Kimberly Davies is a Program Associate for the Microsavings Initiative, which is part of Grameen Foundation’s Solutions for the Poorest program. We are taking a holistic approach to create safe access to formal savings products by focusing on market research and product design, creating a marketing strategy and financial literacy program, using front-end technologies capable of enabling field-based transactions, and building institutional capacity.